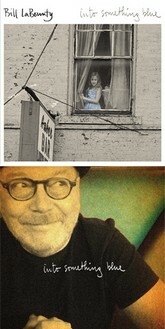 Bill's Video Gallery Check It Out!!! I'm very excited to bring you this album. I've recorded in a rawer, bluesier, more R&B vein than usual, & I've included not only new compositions but some of my very favorite songs by Ray Charles, The Drifters, and even Bob Dylan. My friend Larry Carlton has contributed lavishly to this project with some of the most soulful guitar I've ever heard. Along with Mark Douthit, Tom Hemby and many more of my favorite sought-after players and musicians. 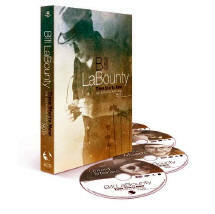 Time Starts Now...A 4-CD boxed set, released by Rhino France Records, featuring 70 remastered tracks tracing the solo career of Bill LaBounty, covering virtually the entirety of his solo albums. Also included are 18 unreleased demos, 5 songs from Bill's debut album "Promised Love" never released on CD (and remastered in 2011) plus a 16-page booklet with annotations of each title by Bill LaBounty. * Featuring: James Taylor, Larry Carlton, Jeff Porcaro, Willie Weeks, Steve Lukather, Lenny Castro, Robbie Dupree, Patti Austin, Jennifer Warnes, Steve Gadd. 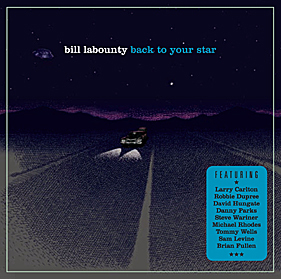 Back To Your Star...Bill LaBounty has released his latest album "Back To Your Star", which features some of his favorite Nashville studio players such as Danny Parks & David Hungate, and featuring some of Bill's favorite Los Angeles artists and players - Larry Carlton and Robbie DuPree. The album will be available all over the world. Japanese will have the advanced edition with the acoustic version of himself and Larry Carlton performing "Livin' It Up" only for Japan. BONUS: Download the Artwork for free HERE. featuring the musicians who played on "Back To Your Star"
The following recordings are in various stages of completion, either for Bill's new album, or for the projects of other artists and friends. Listen to some of these and, if the spirit moves you, e-mail Bill and tell him what you think. If you'd like to download a Free MP3 copy of any of these songs, look below. PC: Right-click on Title and select "Save Target As"